TYLER, TX (KLTV) - Crews are responding to a crash near UT-Tyler. 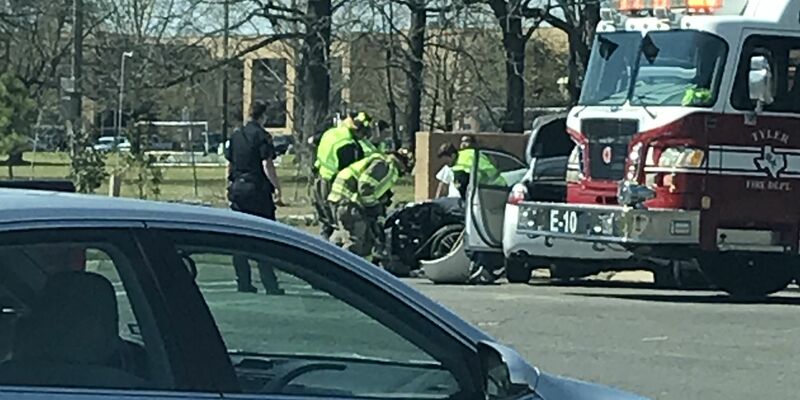 According to Tyler police’s online records, they responded to a two-vehicle wreck near the intersection of University Boulevard and Old Omen Road. Tyler fire is also on scene. One car was loaded up and taken away while the other was being placed on a wrecker. KLTV has a crew en route and will update the story as details become available.